In 1886, an unlikely figure arrived to the burgeoning city of San Diego and quickly became one of its most famous residents, mythologized for his free-spiritedness and dogged self-determination which seemed to embody that of the nation itself. And although he mingled among aristocracy and dined on the finest foods, he wasn't born in the chambers of the elite -- but rather in a kennel. This is the story of Bum, a street dog who won the heart of a city. Much of what is known of Bum's life comes from his close companion and biographer James Edward Friend, a journalist who often wrote of his exploits about town in a colorful blend of fact and fantasy. 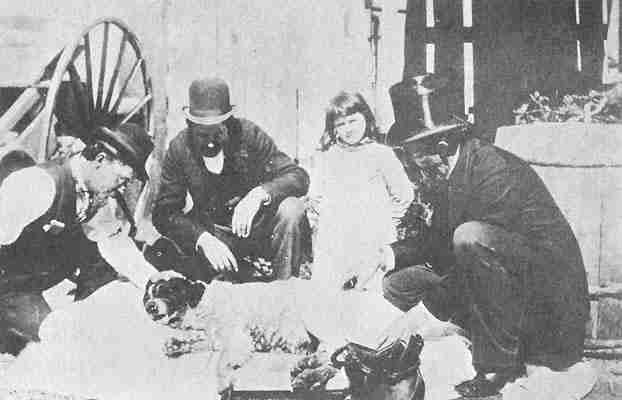 According to Friend, Bum was born in San Francisco in July 1886 to a stray, who along with all but one of her puppies was put down. 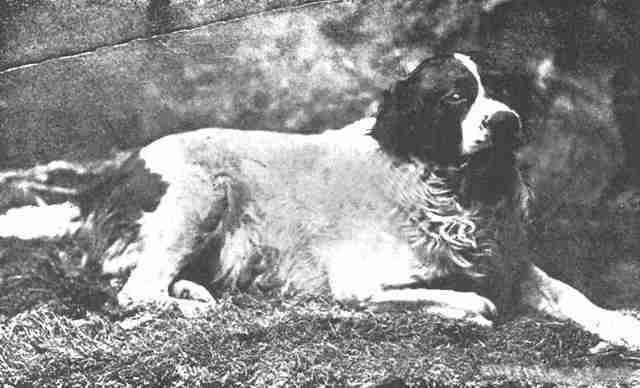 A fire company took Bum in as their station pet, but he soon proved too independent-minded for domestic life, earning the St. Bernard-Spaniel mix his trampish title. Legend has it that Bum then boarded the steamboat Santa Rosa as a stowaway, arriving to San Diego in December where he met Friend not long after. "For several days he visited points of interest in the boom-coming town," Friend writes, adding that a fisherman provided the dog with a place to sleep. Life in his adopted city wasn't always easy, however. 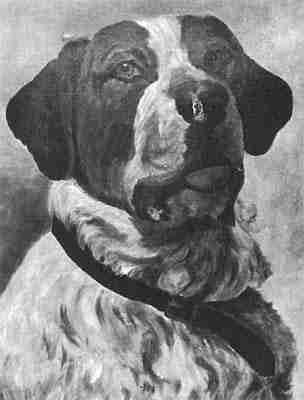 During a skirmish with a bulldog at the rail yard, the two were hit by a train, severing part of Bum's front right foot and killing the other dog. After healing from the incident, Bum's demeanor changed, noted Friend, as he "chose a life of gentlemanly leisure." In the years that followed, many of Friend's newspaper editorials centered around Bum, making him an unofficial mascot to San Diego where he was doted upon as the "town dog." Bum is welcomed in the finest society, and a place in the best chop house is always ready for him. Like all other high-toned, well-dressed dead beats, he never accepted "the worst of it". No matter how hungry he may be, a "hand-out" for common dogs will grievously insult him. . . Like his brother on two legs and stand-off clothes, he keeps the world in doubt as to "the power behind the throne", and for fear of losing his patronage socially and financially-doubtful as both may be-he is received everywhere with a hearty handshake and dismissed with a "come again" smile. So great was the public's affection for their community pet, that an artist at the time even immortalized him on canvas -- an honor underscoring his place among high society. On one occasion, Friend recalls seeing Bum sneaking aboard a passenger train bound for Los Angeles "thumping the wood with his glad tail, his big red tongue hanging from a wide opened mouth and his sonorous voice telling everybody plainly that he was off for the upper country." Friend telegraphed ahead to have a colleague meet him at the station, later reporting that Bum saw the city in two days and returned home. 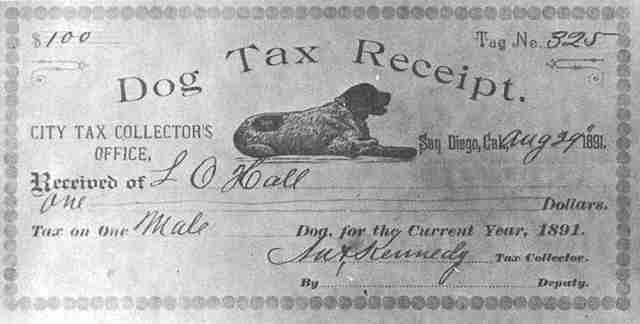 After San Diego passed an ordinance in 1891 requiring all dogs be registered, the city council granted him a tag for life "on the grounds that he did more to advertise the city and county than most of the newspapers." His image was stamped on all dog licenses issued. Sadly, a few years later, Bum was injured yet again when his rear leg was fractured from a kick by a spooked horse. The horse's owner paid for his medical treatment, but as Friend later wrote, Bum was never entirely himself again after the incident. 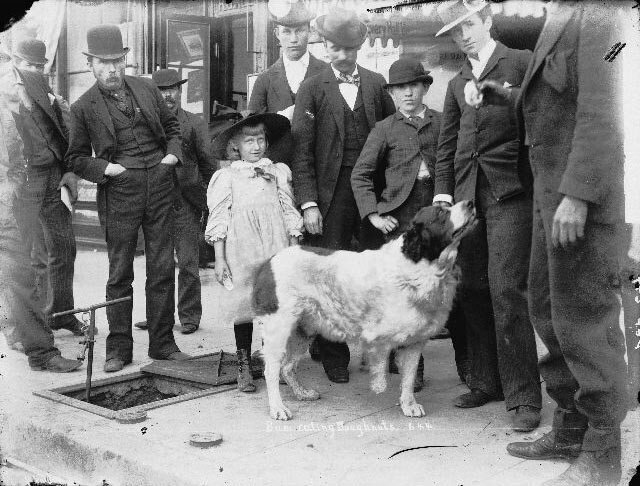 By 1898, the free-roving town dog had become crippled by rheumatism. After Friend passed away, the Board of Supervisors ordered that Bum be retired to the County Hospital where he died a few months later. Today, a statue of that beloved dog can be found in San Diego's Gaslamp District, sitting sweetly as if to invite a pet from a passerby in the city where he was a friend to all.